The Biobank HUB-ICO-IDIBELL is a public, non-profit facility, created in order to manage and regulate the sample collections contained in the Bellvitge University Hospital (HUB), the Duran i Reynals Hospital (ICO) and other associated facilities in accordance with the current legislation (Law 14/2007 of July 3, and the RD 1716/2011, of 18 November). The Biobank is located in the city of L’Hospitalet de Llobregat, south of Barcelona. Its facilities are distributed between the Bellvitge University Hospital (module next to the Pathology Department) and the Duran i Reynals Hospital (ICO Translational Research Laboratory 1). Biobank HUB-ICO-IDIBELL has been authorized by the General Directorate of Planning and Health Research Health Department of the Generalitat de Catalunya in accordance with Royal Decree 1716/2011, of 18 November, by which establishes the basic requirements for authorization and operation of biobanks biomedical research purposes and the treatment of human biological samples, and regulates its function and organization of the National Register of biobanks for Biomedical Research. The facility is also registered in the National Biobank of the Institute of Health Carlos III. 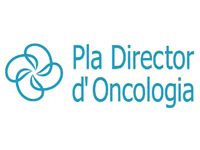 Biobank HUB-ICO-IDIBELL has been authorized by the General Directorate of Planning and Health Research at the Health Department of the Generalitat de Catalunya in accordance with Real Decreto 1716/2011, of 18 November, on the basic requirements for authorization and operation of biobanks with biomedical research purposes and the treatment of human biological samples. The law regulates the function and organization atthe National Register of biobanks for Biomedical Research. The facility is also registered in the National Biobank Register of the Instituto de Salud Carlos III of the panish Ministry of Health. The activities of HUB-ICO-IDIBELL Biobank include receiving, preparation, storage and distribution of biological samples and associated data for biomedical research ensuring their compliance with technical and quality criteria and legal and ethical requirements. More than 48,000 frozen tumour samples. Estimated annual growth of 3.000/4.000 samples. More than 5,700 frozen non-tumour samples (blood, bone marrow, urine, etc). More than 4,500 samples of lymphocytes and splenocytes from donors and renal transplant recipients. One horizontal -80 °C deep freezer for conservation and storing dry ice shipments. 1 steam-phase nitrogen tank with capacity for 98,000 cryovials. Legal and ethical quality: ensuring respect for fundamental rights and liberties, protection of the dignity and identity of the source and treatment of personal data in accordance with current regulations. Scientific quality: promoting collaboration between different units and research groups sample providers as guarantee of quality scientific policy. Equality: promote equal opportunities and ensure a work environment where staff can develop its full potential and be able to contribute to continuous improvement, regardless of race, gender, religion or disability. The HUB-ICO-IDIBELL Biobank has an information management system (IMS), which will allow users access to updated information of the contained samples, according to the Law (Law 15/1999 of 13 December on the protection of personal data). Personal data and associated clinical biological samples are part of Biobank file, registered in the Data Protection Agency under the responsibility of the Biomedical Research Institute of Bellvitge (IDIBELL).